Download the best Birthday Party Flyer Templates for Photoshop!Download the best Birthday Party Flyer Templates for Photoshop! Welcome to the Birthday Party Flyer Template Category! Enjoy explore and scroll through the best free and premium Birthday Flyer Template Designs. 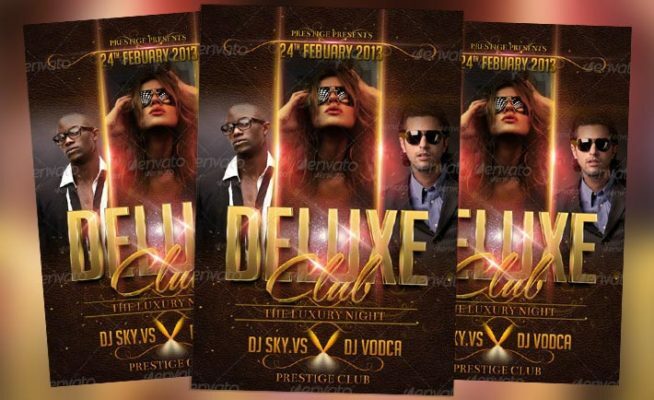 Hand-picked Birthday Flyer Design Templates made by professional flyer designers. Looking for a new design for your next Birthday Party and Club event? 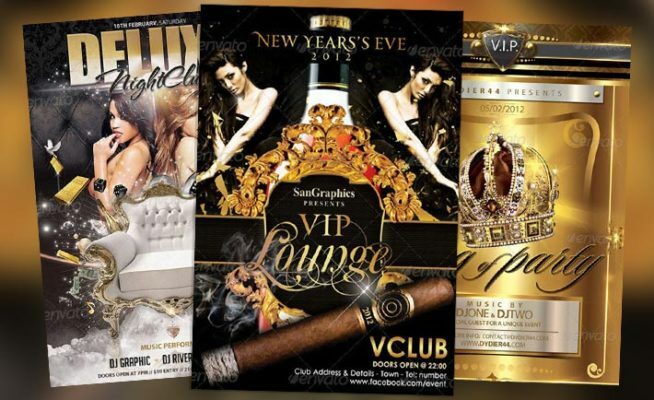 Check out our collection of Birthday flyer templates for Photoshop. All designs are easy to customize and print-ready. 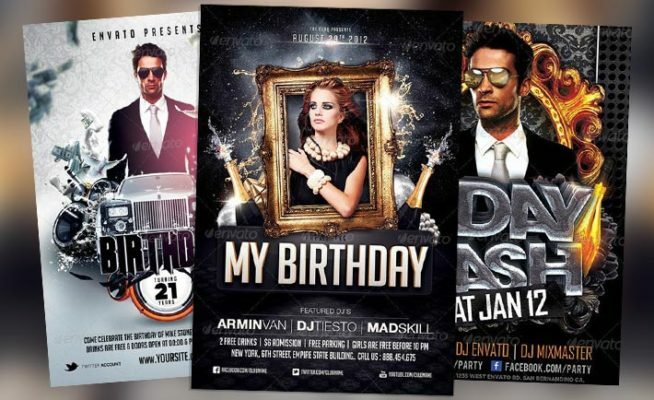 Download the best Birthday Club Flyer Templates for Photoshop. 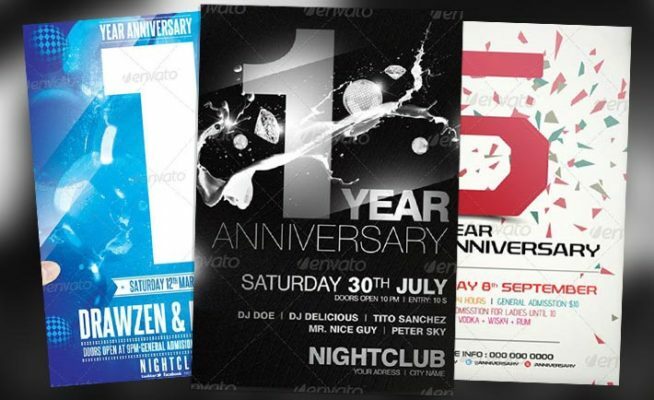 Explore the perfect flyer designs for your next Anniversary, Birthday Party and Club Event. Enjoy celebrating your next birthday! 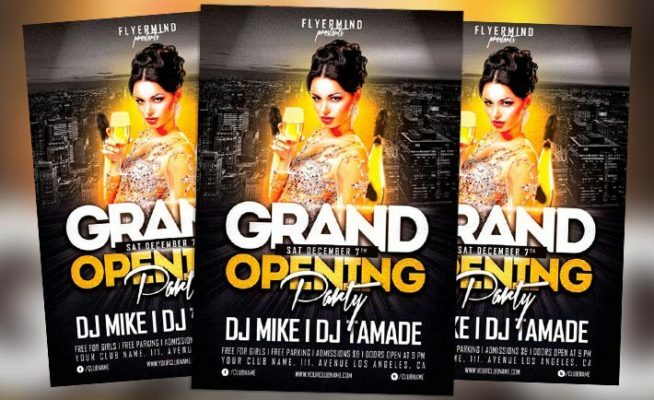 Download free and premium party and club flyer templates on Flyersonar.com! Grand Opening Party Vol.1 – This flyer template was designed to promote white dressed party events. This print ready premium flyer template includes a 300 dpi print ready CMYK file. All main elements are editable and customizable. 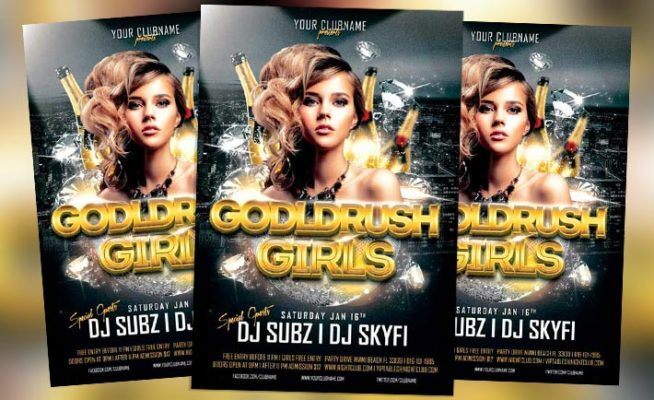 Gold Rush Girls Flyer Template – This flyer template was designed to promote your next party and club events. This print ready premium flyer template includes a 300 dpi print ready CMYK file. All main elements are editable and customizable. Here we got another great top 10 flyer collection. This time it’s all about birthday party celebration! 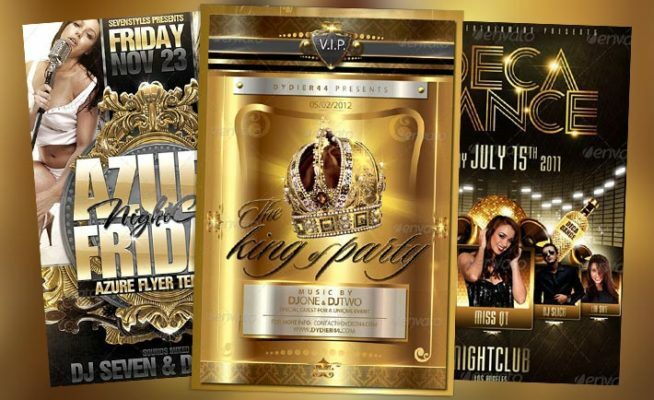 Check out the following top 10 best birthday psd flyer templates!